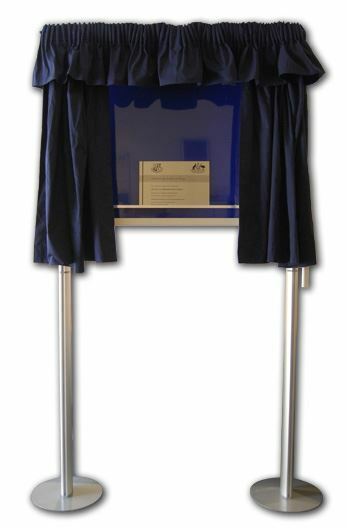 We have available for hire a very well presented Navy Blue freestanding Opening Ceremony Curtain Plaque Reveal with backing board. It is easy to assemble and can be set up full height as floor stand or half height as table stand. 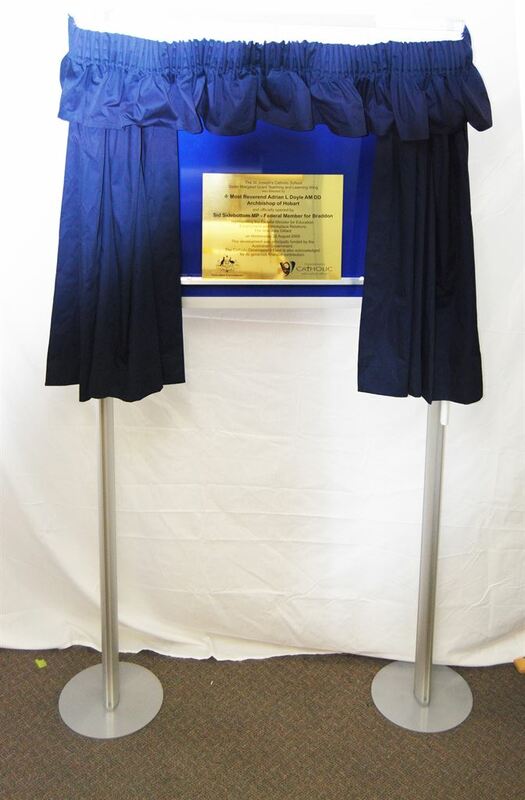 The Curtain is drawn back by a cord to reveal the plaque. Your plaque can be placed on a wall or add the plaque shelf to the curaint and sit the plaque on the shelf when installing at a later date. Curtain with stand and delivery instructions. 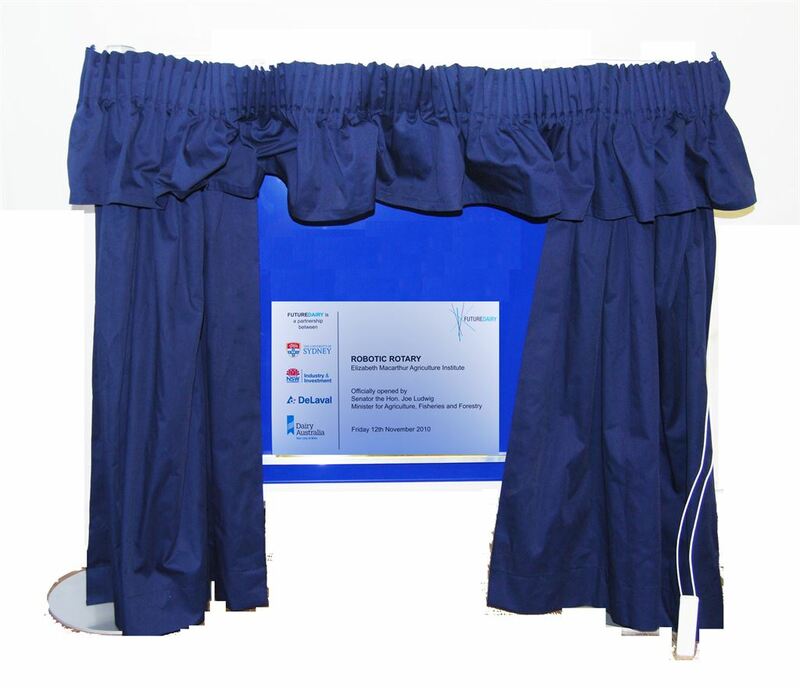 The curtain has a shelf for your plaque and and draw string to pull the curtain open. Assembly instructions are included in the package. The curtain comes in 2 packages. be refunded on return of curtain in good working order/condition on the due date. Should repairs have to be made the security deposit will be debited the cost of repairs. It is your responsibility to return the curtain on the the 3rd hire day. Extra day Hire is charged at $110.00 per day. The deposit is refunded if the goods are returned within 3 days and no damage has occurred.